Boris Nikolayevich Yeltsin [Бори́с Никола́евич Е́льцин] (1 February 1931 – 23 April 2007) was the first president of the Russian Federation. I as the elected President of Russia give you the order to turn your tanks and not to fight against your own people. You can build a throne with bayonets, but it's difficult to sit on it. I believe in this tragic hour you can make the right choice. The honor and glory of Russian men of arms shall not be stained with the blood of the people. Variant translations: You can make a throne of bayonets, but you can't sit on it for long. Today is the last day of an era past. Alternative translation: those anticipating a failure of the meeting "have failed" ("вы провалились"). A sense of proportion and humanitarian action are not issues for terrorists. Their aim is that of killing and destroying. Dissidents should be paid 13 months' salary for a year, otherwise our mindless unanimity will bring us to an even more hopeless state of stagnation. It is especially important to encourage unorthodox thinking when the situation is critical: At such moments every new word and fresh thought is more precious than gold. Indeed, people must not be deprived of the right to think their own thoughts. Dissidents should be paid 13 months' salary for a year, otherwise our mindless unanimity will bring us to an even more hopeless state of stagnation. It is especially important to encourage unorthodox thinking when the situation is critical: At such moments every new word and fresh thought is more precious than gold. Indeed, people must not be deprived of the right to think their own thoughts. I am convinced that the moment is coming when, with its message of eternal, universal values, it will come to the aid of our society. For in these words: "Thou shalt not kill; Thou shalt love thy neighbor as thyself," lie those very moral principles that will enable us to survive even the most critical situations. I am leaving. I did all I could. Today I am turning to you for the last time with New Year's greetings. But that's not all. Today I am turning to you for the last time as president of Russia. I thought long and hard over it. Today, on the last day of the departing century, I am resigning. I have heard many times that "Yeltsin will hang onto power by any means, he won't give it to anyone." That's a lie. But that's not the point. I have always said that I would not depart one bit from the constitution. That Duma elections should take place in the constitutionally established terms. That was done. And I also wanted presidential elections to take place on time — in June 2000. This was very important for Russia. We are creating a very important precedent of a civilized, voluntary transfer of power, power from one president of Russia to another, newly elected one. And still, I made a different decision. I am leaving. I am leaving earlier than the set term. I have understood that it was necessary for me to do this. Russia must enter the new millennium with new politicians, with new faces, with new, smart, strong, energetic people. And we who have been in power for many years already, we must go. Seeing with what hope and faith people voted in the Duma elections for a new generation of politicians, I understood that I have completed the main thing of my life. Already, Russia will never return to the past. Now, Russia will always move only forward. I should not interfere with this natural march of history. To hold onto power for another half-year, when the country has a strong man who is worthy of being president and with whom practically every Russian today ties his hopes for the future? Why should I interfere with him? Why wait still another half-year? No, that's not for me! It's simply not in my character! Today, on this day that is so extraordinarily important for me, I want to say just a few more personal words than usual. I want to ask for your forgiveness. For the fact that many of the dreams we shared did not come true. And for the fact that what seemed simple to us turned out to be tormentingly difficult. I ask forgiveness for not justifying some hopes of those people who believed that at one stroke, in one spurt, we could leap from the gray, stagnant, totalitarian past into the light, rich, civilized future. I myself believed in this, that we could overcome everything in one spurt. I turned out to be too naive in something. In some places, problems seemed to be too complicated. We forced our way forward through mistakes, through failures. Many people in this hard time experienced shock. Today it's important for me to tell you. The pain of each of you has called forth pain in me, in my heart. Sleepless nights, tormenting worries — about what needed to be done, so that people could live more easily and better. I did not have any more important task. I am leaving. I did all I could — not according to my health, but on the basis of all the problems. A new generation is relieving me, a generation of those who can do more and better. In accordance with the constitution, as I resign, I have signed a decree placing the duties of the president of Russia on the head of government, Vladimir Vladimirovich Putin. For three months, again in accordance with the constitution, he will be the head of state. And in three months, presidential elections will take place. I cannot shift the blame for Chechnya, for the sorrow of numerous mothers and fathers. I made the decision, therefore I am responsible. It looks as if some people either have a short memory and are forgetting about that time and the events that occurred then … Let us recall the putsch of August 19, 1991. It was after the putsch that the republics began, one after another, to declare their independence. Russia also declared its independence. This was approved by the Supreme Soviet, and you know and remember that there was the Declaration on the Independence of Russia. So, the entire course of history was leading to a point when the regime, the political regime in the country had to be changed. It demonstrated that the Union was not as strong as this was loudly preached by mass media and the propaganda in general. The republics wished to become independent. This must only be welcomed... We have good peaceful relations and there were no military clashes. None of these countries had revolutions with bloody casualties and there was no civil war in any of the republics... Russia had to change and it did change. The reformer Yeltsin represents the tendency which wants to reduce the gigantic state apparatus. Consequently he follows in Trotsky's footsteps. He's been on the verge of death so many times. … His doctors themselves are in shock that he's still alive. Half the blood vessels in his brain are about to burst after his strokes, his intestines are spotted all over with holes, he has giant ulcers in his stomach, his heart is in absolutely disgusting condition, he is literally rotting … He could die from any one of dozens of physical problems that he has, but contrary to all laws of nature — he lives. General Alexander Lebed; Lebed died in 2002, Yeltsin lived to 2007. Declarations and condolences following the death of Yeltsin on April 23, 2007 from heart failure at age 76; sorted alphabetically by author or source. Boris Yeltsin was a man of bold and free spirit who, I believe, will remain in the history of not only Russia but also of the Baltic States and the world. His position accelerated Lithuania’s march towards freedom and contributed to the restoration of the independence of all Baltic States. It was a great honor for us to have such a friend and partner. As president, he had enormous challenges and difficult mandates, but he certainly brought East and West closer together and helped replace confrontation by cooperation. Without a doubt, President Yeltsin — with all the human weaknesses no one is free of — was one of the truly great men of our age. When all was uncertain in the disintegrating Soviet Union, he was the one to set a new course by abolishing the Soviet Union and recognising the independence of the three Baltic States. His repudiation of Communism was unequivocal, and he clearly directed the new Russia towards ever closer cooperation with the rest of Europe. He was a great person in the history of Russia and of Europe. He was a remarkable man who saw the need for democratic and economic reform and in defending that reform he played a vital role at a crucial time in Russia's history. President Yeltsin was an historic figure who served his country during a time of momentous change. He played a key role as the Soviet Union dissolved, helped lay the foundations of freedom in Russia, and became the first democratically elected leader in that country's history. US President George W. Bush, in "President and Mrs. Bush Saddened by the Death of Former Russian President Boris Yeltsin"
The world will keep of President Yeltsin the memory of a man who, by his courage, his tenacity and his political direction, knew to make the triumph of freedom and engage Russia on the way to democracy. 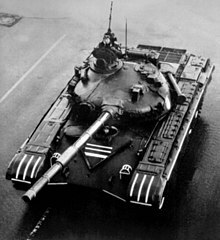 No Americans, at least, will forget seeing him standing on the tank outside of the [Russian] White House resisting the coup attempt. President Boris Yeltsin was of major importance to the development of democracy in Russia. Yeltsin was President of Russia at a time of great change — he could be said to have brought democracy to Russia and defended it in challenging circumstances. I have great respect for President Yeltsin’s work in developing Russia and I wish to extend my sympathy to the people of Russia on the death of Boris Yeltsin. I express my profoundest condolences to the family of the deceased, who had major deeds for the good of the country as well as serious mistakes behind him. It was a tragic destiny. I think he will be best remembered as the person who really ultimately did save the arrival of democracy in Russia. That momentous occasion when he stood on the tank outside the Russian Parliament and held back the counter-revolution, if I can put it that way, by the old guard of the former Soviet regime. He has a place in history as a result of that. Later on he lost a lot of credibility on some economic issues, but nothing can wipe out the contribution that Yeltsin made to bringing democracy to Russia. [Yeltsin] played a significant role in the dissolution of the Soviet Union as a totalitarian regime and the birth of a new Russia, whereby he contributed to democratic changes in Europe during the 1980s and 1990s. The news on the sudden death of the first president of Russian Federation Boris Yeltsin was met with the feeling of a deep sorrow in Uzbekistan. President Yeltsin will be remembered for the critical role he played in advancing political and economic reforms in Russia, as well as in fostering rapprochement between East and West. A leader of the nation, in the full sense of the word, has quitted life, a true patriot of his country, an outstanding statesman, a man who was rooting for Russia and its people with all his heart. Boris Nikolayevich, a true friend and a great politician, whose name is linked to the most important and memorable pages in the development of the union relationship between the Belarusian and Russian people, will remain forever in the hearts of Belarusians. Yeltsin was a great personality in Russian and international politics, a brave fighter for democracy and freedom and a true friend of Germany. Yeltsin's presidency has inscribed him forever in Russian and in world history. 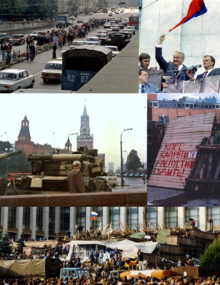 … A new democratic Russia was born during his time: a free, open and peaceful country. A state in which the power truly does belong to the people. … the first President of Russia’s strength consisted in the mass support of Russian citizens for his ideas and aspirations. Thanks to the will and direct initiative of President Boris Yeltsin a new constitution, one which declared human rights a supreme value, was adopted. It gave people the opportunity to freely express their thoughts, to freely choose power in Russia, to realise their creative and entrepreneurial plans. This Constitution permitted us to begin building a truly effective Federation. … We knew [Yeltsin] as a brave and a warm-hearted, spiritual person. He was an upstanding and courageous national leader. And he was always very honest and frank while defending his position. … [Yeltsin] assumed full responsibility for everything he called for, for everything he aspired to. For everything he tried to do and did do for the sake of Russia, for the sake of millions of Russians. And he invariably took upon himself, let it in his heart, all the trials and tribulations of Russia, peoples’ difficulties and problems. It's sad news, that Boris Yeltsin is dead. We owe the former Russian president respect for standing ground for the democracy of Russia. When we remember Boris Yeltsin, we remember a person who played an important role in bringing down the Soviet dictatorship and who guided Russia in its first steps towards democracy. Without the contributions Yeltsin made at that time, it is likely that developments could have taken a very different turn. As President, Boris Yeltsin also helped open up Russia for important market economy reforms. In a country where private ownership was previously forbidden or actively opposed, this was an effort that was neither easy nor unproblematic, but was utterly necessary. He was a genuine politician. You could change his mind if you talked to him for half an hour. He and Vladimir Putin are two very, very different people. Deepest condolences to the family, Russian people and Vladimir Putin for death of the first democratic Russian leader. Russia’s First President Boris Yeltsin has invaluable merit to the whole world … At the same time, he was strong opponent of withdrawal of Soviet troops from Poland and our joining NATO. I pity this person, one has to admit, his life was not kind to him. All of us will die some day. A great democrat and remarkable politician, whose name is associated with an epoch in the world’s history … Boris Yeltsin made a unique contribution to Russia’s revival, promoting the principles of freedom, equality and sovereignty in the former Soviet Union and seeking to fairly rebuild the modern world, and his contribution can only be compared with those by great leaders. With his unfortunate passing, the Chinese people have lost a sincere friend.